Robert Ludlum is the author of the beloved Jason Bourne spy thriller series. The author passed away in 2001, however, Eric Van Lustbader has continued the series, with the permission of Robert Ludlum’s family. Here are the Robert Ludlum nooks in order for the novels he has personally written, as well as the series continued by other authors. Where this is the case, I will list the name of the actual author in brackets. Check out Eric Van Lustbader for the rest of the Jason Bourne novels. The author has his own page. Robert Ludlum was born in 1927 in New York City. He grew up in suburban New Jersey. Robert attended The Rectory School. After his father died, his mother sent him to Connecticut to study further at a private school, at the Cheshire Academy. He earned his B.A. in Drama at the Wesleyan University in Middletown, Connecticut. In 1945 he joined the Marines and was deployed in the South Pacific. When he returned home, he started working as an actor, appearing in several Broadway productions where he held various small roles. 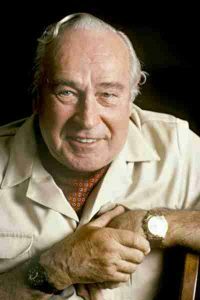 Prior to becoming a full-time novelist, Robert Ludlum did a lot of voice-overs for work for TV ads, as well becoming a theater producer, having produced original theater on Broadways. He was, in fact, quite a successful actor, however, he was one with a hole in his heart. He got bored and wanted to do something else entirely with his life. When he decided to change his career path to that of writing to become a novelist, he was 40. The first thing he wrote was a comical book which he titled Broadway Goes to Suburbia. The publisher was not happy. So the author decided to learn the formula for writing modern successful thrillers. His first real book, a thriller titled The Scarlatti Inheritance, was published in 1971. Until his death in 2001, he wrote 27 novels, many of which have been made into TV miniseries or movies. He wrote some of the books under various pen names, including Jonathan Ryder and Michael Shepherd. Life is extremely complicated. I try as best I can to enter the realm of nuances of human behavior. His writing style is full of short and punchy and rather melodramatic sentences and his readers devoured his pages. Over the years he traveled with his wife to many places around the world, including Greece, so it is not a big jump from him to his beloved character, Jason Bourne to also travel the world searching for answers about his past. After the author’s death, which happened from a heart attack while he was recovering from burns due to a fire at his home, his family estate allowed other eight authors to continue his legacy to write under the Ludlum brand. The author was only 73 when he died in 2001. The last Jason Bourne book he wrote was The Bourne Ultimatum. Thankfully, most of the Robert Ludlum books in the popular series is being kept alive by the thriller author Eric Van Lustbader, while his Covert-One series is continued by Kyle Mills, Patrick Larkin, Gayle Lynds, James H. Cobb and Jamie Freveletti. He oversaw the writing of the first three Covert-One novels before his death, although he didn’t actually write any of the books. Robert Ludlum also started a third series called Paul Janson, with the first book being published a year after the author’s death. Further novels in the series are continuously being written by Paul Garrison and Douglas Corleone. The Jason Bourne series was first brought to life in a Manhattan restaurant. This is where book industry veteran Richard Marek met with Robert Ludlum and pitched the idea of Ludlum changing the way he writes his thrillers. So he came up with the idea of writing about an amnesiac Jason Bourne, a dangerous professional who can’t keep out of trouble. And how that came to be? It is said that after he wrote his first novel, he fell into a bout of amnesia where he couldn’t remember anything about the last 12 hours of his life. He had absolutely no memory of his life. Putting this scary personal experience into the life of Jason Bourne was just a small jump away. Also, the author Robert Ludlum was the first to make popular the notion that American CIA spies and Russian spies could actually work together to remove a more imminent and dangerous threat to their countries.